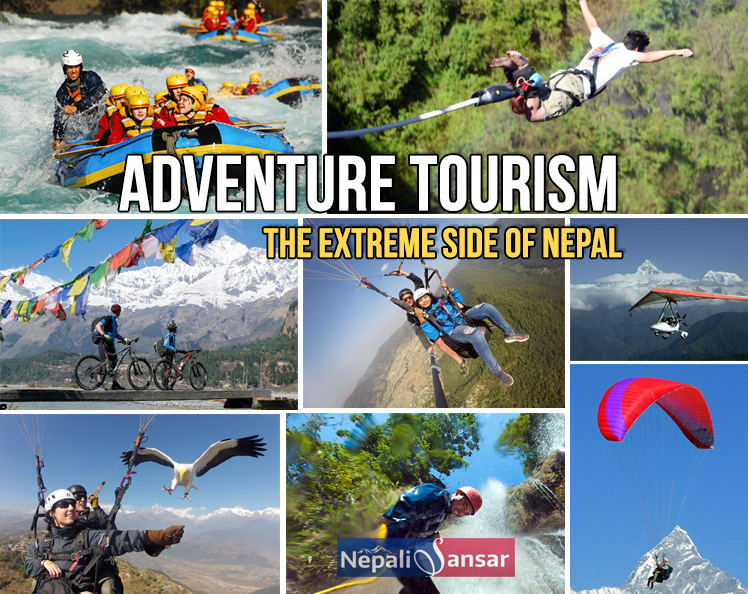 Nepal can set adventurers’ hearts burning with enthusiasm and quest for thrill! The never-ending mountain range, swiftly flowing rivers, bustling greenery and peaceful blues skies can make you think of Nepal as a serene nature lover’s paradise. But, did you know that these very elements of Nepal can set the adventurers’ hearts burning with enthusiasm and quest for thrill? 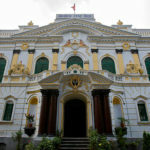 Nepal is one of the most-visited tourist destinations in the world as it has something more than just picturesque views to offer. Yes! 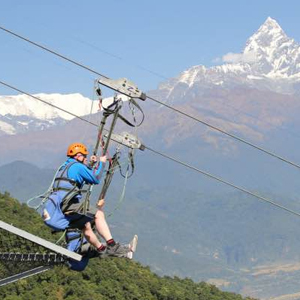 we’re talking of adventure sports and not just that, but insanely awesome adventure tourism. Have you experienced your heart slump to your stomach, your heartbeat swerve through the nerves of your head, your sweat turning cold or the adrenaline rush through your veins? Even more, have you experienced all these reactions all at once? If your answer is no, then be prepared to be swept off your feet in a maddening adventure tour that the ‘home of the mountains’ has in store for you. Wondered about how it seems from a bird’s point of you? Don’t keep wondering. Go at it with all that enthusiasm in you! Listen to the wind whistle in your ears while you get a glimpse of the ‘land of mountains’ with all its majesty and grandeur. 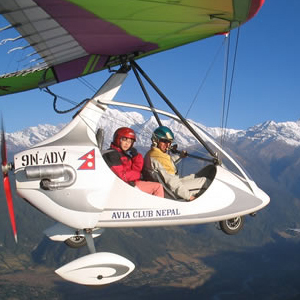 Witness paragliding/parahawking like nothing before with this adventure sport that begins at Pokhara. 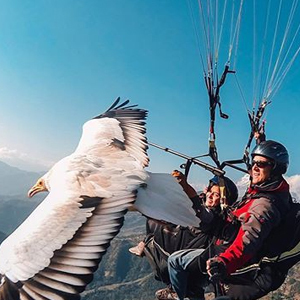 Parahawking brings the experience of flying high and getting close to nature in one amazing adventure. In parahawking flyers feed falcons, pieces of meat. The birds picked the meat from the gloved hands of the flyer and then proceed to guide them through their flight. This sport is slowly gaining popularity for Nepal. Scream for joy as you descend from above the topography of Nepal. The experience of being midair while looking at the terrain down will make you feel dizzy, joyous and almost in a dream. 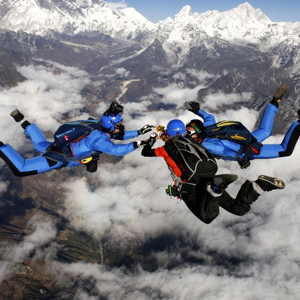 Sky diving presents divers with the best views of the scenic land of Nepal and will send your spirits soaring with joy and peace. So take that leap, let yourself loose and live your dream of staying amidst the clouds. We’re sure most of you felt great while watching Tarzan swing effortlessly from one place to another. And maybe wish Oh! How I could fly like Tarzan. Well! At Nepal you can be your own Tarzan. With a thrilling jump from one of the highest gorges scaling 160 meters and the view of the rushing waters of the Bhote Koshi river, it’s hard to hold your heart in place or even have your senses working. Scary? 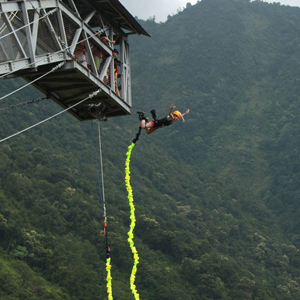 But yes, this is what a bungee jump that Nepal has for you. The carefully-designed jump was chalked out by New Zealand’s prominent bungee consultants and is being executed and managed by the ‘masters of the art’. Ever dreamt of falling off a cliff into a steep valley? Now imagine looking at that steep valley in reality. The sight of the 600-m deep valley can numb your senses completely but if you ignore that part and choose to look at what the surroundings have to offer then there’s nothing like it. The 1800-m zip fly from Sarangkot, Pokhara will leave you speechless and spellbound wondering if you’re dreaming or actually seeing something so beautiful. Feel your heart plunge to your stomach and then back to its place while you touch the valley below and flying gently towards the top. 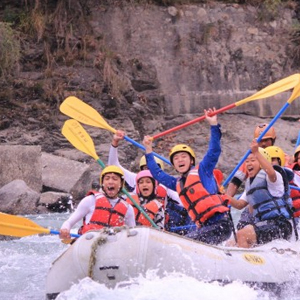 Veiling the Himalayan mountains with its beauty, the flowing river waters present water sport enthusiasts with one of the most challenging opportunities in terms of white water rafting. Feel the rush of blood pump faster through your nerves as you battle the highs and lows of the rivers. Watch the waves break furiously at you while rafting your way through the gorgeous rivers of the Himalayan nation. Immerse yourself completely in the thrill of the sport and the beauty of the gorges. Let the mighty waves sweep away all your fears. The Thrisuli and Seti rivers provide some of the most exciting opportunities in terms of rafting. 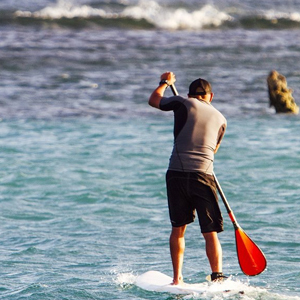 And you thought water sports was just about rowing a boat or rafting in a river! When you look at a picture of this sport you might wonder what’s so special about this sport. Well, if you only knew the magnitude of this sport, you won’t just sit looking. You get to cover the whole lake with this sport. Stand-up paddle boarding in the Phew lake is one of the most engaging adventure sports in Nepal. Along with being an adventure, it is an exercise to your body and helps keep your muscle in shape. Nepal boasts of eight of the highest mountains peaks in the world. These snow-capped mountains offer trekkers more than just trekking or mountain climbing. 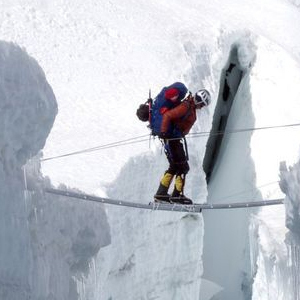 Waterfall ice-climbing has become a ‘thing’ in Nepal and has created a new breed of trekkers called ‘ice-climbers’. The frozen water falls create the perfect environment for enthusiasts to challenge their strengths and create newer highs. Take on the frozen waters of the Himalayas and capture some beautiful memories of your experience on the climb. Nepal’s mammoth mountains create the perfect environment for snow and ice sports. Heli-Skiing is the trending addition to these sports. This sport brings add grandeur to skiing by giving skiing enthusiasts a drop from a helicopter at the beginning of the adventure. The highest-recorded skiing sport began at 5,000-m height above sea level. The Everest region, Dhaulagiri, Makalu, Annapurna, Cho Oyu, Kanchenjunga and the Dolpo region are the ideal heli skiing location and one glance at the view from the top can send shivers down your spine. Nothing like being at the front seat, right? That sense of control, the image of the road ahead and that feeling of excitement overcoming you. That’s exactly what it feels like when you embark on a road trip but ever thought about the mountain? Nepal gives adventurists a taste of the biking like never before. The most challenging climb uphills, the terrifying attempt at balancing the wheels against the rocky terrain, the steep slopes downside and the sweat droplets turning cold against your face, all the while. Phoo! Rest apart, this adventure gives you a beautiful view of the mountain vistas, the deadly gorges and the eternal flora. The first residents of the earth were lucky enough to be closer to nature than we can ever be today. But Nepal is trying to retain that bond between nature and us with its Jungle Safari. The national parks in the Himalayan country, conserve wildlife in such a way that they attract tourists from all over the world. They provide visitors numerous safari options that give them a different perspective on wildlife and nature at large. 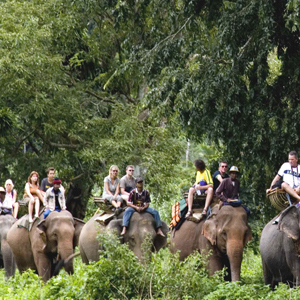 Bustling with different flora and fauna, the jungles in Nepal are home to some of the exotic animals in the world. Visitors are drawn to the way these animals interact with their habitat. It is an escape from the otherwise busy and mad world. Buddhist Stupas, golden temples, booming greenery, snow-capped mountains and much more are the views that one can enjoy through these sports and others. 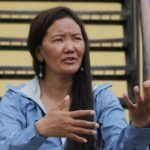 No wonder, Nepal is a home to all the adventure lovers. 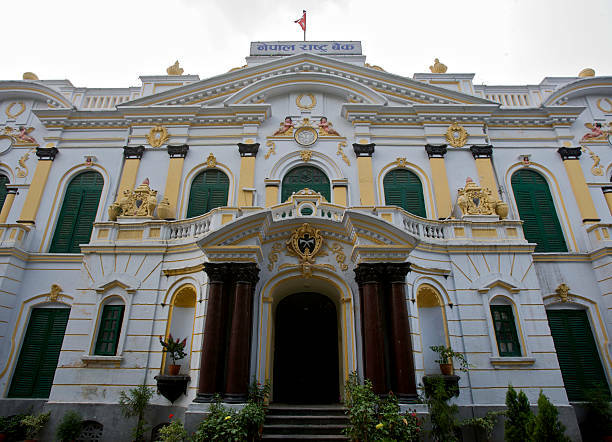 Steal time from life, explore this beautiful nation and take back wonderful memories of a different life at Nepal.